Representing the 12th sign of the zodiac, Pisces (February 20th – March 20th) are caring and deeply emotional human beings. Often their personality is complex because they carry traits of all the other 11 signs, besides their own traits. Pisces-born are highly intuitive, compassionate and liberal. Even though they look fragile, they are strong inside. We have selected ten reasons why everyone needs a Pisces in their life. If you have a Pisces friend, you know about their legendary gut feelings. Pisces are just unbelievably intuitive, it’s like they are born with this sixth sense. This highly perceptive nature of their’s always turn out to be dead on. They can easily pick up on a person’s true motives and intentions. So it’s a good idea to ask your Pisces friend for an opinion when you are stuck. The life motto of Pisces can be: to help everybody. They are the happiest when they can give and share their good fortunes with others. They are extremely generous with gifts and attention and you can always count on them if you need help. In relationships Pisces are some of the most giving, loving and caring partners you will ever have. Pisces love providing for others and this personality trait makes them a genuine friend to everyone. Pisces would do everything to make their loved ones happy and to make them feel special. Be it friendship or romantic relationship, they are fiercely loyal. When they’re in relationships they’re very devoted partners doing their best every single day. Most Pisces love adventure and they like to stay away from normality. They enjoy new situations and social events and they always have something exciting on mind. They are liberal, accepting and not very conservative. Pisces, just like the fish, love to go with the flow. An adventurous holiday that not over-arranged is perfect for them. Pisces have a very easy-going and fluid nature. They are happy with almost anything and they are very easy to get along with. That is also why they are popular among their friends. Everybody loves to talk to them, because they are easy to talk to and they have a soothing and calm presence. 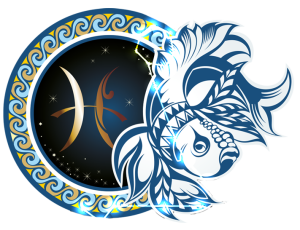 Pisces is one of the most adaptable signs of the zodiac. They adapt quickly to new people and new surroundings. With their extraordinarily empathetic nature they can take on the feelings of everyone around them and quickly accommodate to the situation. This quality makes for an extremely agreeable companion. They can find common ground with people from all walks of life. Pisces have the ability to make people feel comfortable and at ease. Pisces are gifted with stronger empathetic reactions than any other sign. They have the ability to tune into the deepest and most subtle parts of someone’s mind state. So much so, that sometimes Pisces can feel themselves, what others are feeling. This personality trait makes them the first person you’ll want to call when you have a broken heart or a problem at work. The only thing that Pisces hate is fights and arguments. Since Pisces love love, they have an essential need for peace around them. They are people pleasers so you can be sure that your Pisces friend or partner will want to fix things if something goes wrong. They never shy away from saying “sorry” and they never hold grudges for a long time. Pisces is all about emotional honesty. Pisces are very creative beings, they need to feel inspired to feed their creative souls. When they use their imagination in a positive way they can be extraordinarily successful. Even though Pisces often don’t realize it, they are inspiring others with their creativity. Your Pisces friend can come up with the craziest ideas to take a spontaneous road trip or a night out. With the help of their creative imaginations the Pisces can come up with the sweetest surprises. They know how to be romantic and they have a strong desire to make people feel happy. This qualities make them incredible lovers. The only thing you need to make sure of is to keep them feel needed and appreciated.